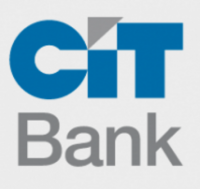 Promotions And Bonuses For Banking, Credit Cards, Investing, Etc. Disclosure: This post may contain references to products from our advertisers. We may receive compensation from products we link to. We appreciate your support. You can read our advertising disclosure here. Those who are looking for the highest interest rates may want to consider opening a Certificate of Deposit (CD) account. Certificate of Deposit accounts often pay a much higher interest rate than a standard savings account. Unfortunately, enjoying higher interest rates does come with a cost. Many CD accounts restrict access to your funds during the CD terms, often between 3 months to 5 years. If you take your money out before the end of the CD term (also known as the maturity date), you’ll often pay a penalty, perhaps even forfeiting a part of the interest you’ve earned. Though, this depends on the bank’s policy. The best thing about a CD account is that they are low maintenance. Just store your money into an account, and your rate is generally locked in for the period of time you choose. Then, watch your interest grow. You must keep up with when your CD matures because most banks will automatically renew the CD at the end of the term. Make sure to create a reminder. You’ll only have a short period of time to cancel your account after the term is over. If you’re worried about the safety of keeping your money in an account for too long, don’t worry. CD accounts are insured, up to $250,000 per account. For banks, they’re FDIC insured and for credit unions, they’re NCUA insured. Banks offer a variety of CD term lengths for you to choose from. They can go from as short as 30 days to as long as 10 years. However, most banks offer standard term lengths from 6 months to 5 years. Choosing the appropriate amount of time to store your money is up to you to decide. First, you must determine what minimum balance requirement you’re able to meet. Banks generally have a minimum balance required to earn the listed Annual Percentage Yield (APY). For example, if you plan on depositing $500, you’ll qualify for every CD account that has no minimum balance requirement to those with a $500 requirement. Then, choose your CD term. Usually, the longer your CD term is, the higher rates you’ll earn because banks like it when you keep your money with them. Though, this isn’t always the case. Some banks offer special rates for a limited time. For example, you may earn a better rate with a 12-month term as opposed to a 5-year term. No matter what term length you choose, make sure you won’t need access to for the entire CD term to take advantage of the best CD rates. Otherwise, if you withdraw your funds early, you’ll incur an early withdrawal fee. Not all banks will offer you the best CD rates for your money. In fact, many traditional brick-and-mortar banks and popular name-brand banks will offer you the worst rates. With all the overhead costs they have to pay for, it’s difficult for them to offer customers competitive rates. Therefore, you can generally find the best rates from Credit Unions and Online Banks. Below, we have compiled you a list of the best national and state/local CD rates for 6-month, 9-month, 1 year, 18-month, 2-year, 3-year, 4-year, and 5-year CD accounts! Our exclusive list has the most up-to-date and best national CD rates you will find on the web! Editor’s Note: Rates are subject to change. Feel free to leave us a comment if you see any rates changed in any of the links below. Looking for other accounts banks offer? 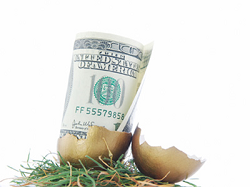 Check out our list of the best bank bonuses we’ve compiled, here on BankCheckingSavings. You can also find some of our helpful guides listed on there if you need any additional information. Plus, if you’re interested in applying for a credit card, see our list of the best credit card promotions and their respective reviews to find the best one that suits your needs! Disclaimer: These responses are not provided or commissioned by the bank advertiser. Responses have not been reviewed, approved or otherwise endorsed by the bank advertiser. It is not the bank advertiser's responsibility to ensure all posts and/or questions are answered. Anthony Nguyen, founder of Bankcheckingsavings.com, has a passion for finding the best deals, bank promotions, credit card offers, cash back, points & miles, and everything in between. Contact Anthony for media/advertising. Holy Toedlo, so glad I clicked on this site first! Chase Total Business Checking® Earn a $200 bonus when you open a new Chase Total Business Checking® account and deposit $1,000 or more within 20 business days & maintain that balance for 60 days, & complete 5 qualifying transactions within 60 days. 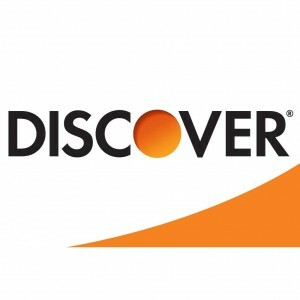 Discover Bank Online Savings: Earn a $200 Bonus/$150 Bonus with promo code BCS419 by May 6, 2019 along with high interest rate of 2.10% APY. Fund your first savings account with a minimum of $25K by May 20, 2019 to earn the $200 Bonus (fund $15K to earn $150 bonus). No minimum opening deposit, no minimum balance requirement, and no monthly fees. See advertiser website for full details. Chase Total Checking® + Chase SavingsSM - Earn a $200 bonus when you open a new Chase Total Checking® account and set up direct deposit. Get $150 bonus more when you open a new Chase SavingsSM account, deposit a total of $10,000 or more within 20 business days & maintain $10,000 balance for 90 days. Huntington 5 Checking - Earn a $200 bonus by make at least one direct deposit of at least $500 or more within 60 days of account opening. The bonus will be deposited into your Huntington 5 Checking account after all requirements are met and your account is open for 90 days. Wells Fargo Propel American Express® Card - Earn 30K bonus points when you spend $3,000 in purchases in the first 3 months - that's a $300 cash redemption value. Wells Fargo Cash Wise Visa® Card - Earn a $200 cash rewards bonus after spending $1,000 in the first 3 months and earn an unlimited 1.5% cash rewards on purchases! Advertiser Disclosure: Many of the credit card offers that appear on this site are from credit card companies from which BankCheckingSavings.com receives compensation. This compensation may impact how and where products appear on this site (including, for example, the order in which they appear). We do not feature all available credit card offers or all credit card issuers.